AFTER YOU STOCK IT WITH FISH! A windmill aerator can aerate your remote located pond near your food plot where you have no power source. 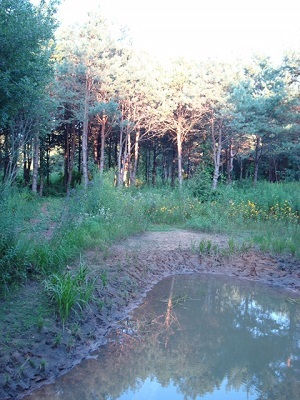 A pond is a great addition to your hunting sight and food plot. Not only will the water source attract wild life, it will also be a supply of water to irrigate your food plot. Pumps are available that will move water across to your planting or to a reserve tank using the air pressure from the aeration windmill. opening in the ice to offer needed drinking water during winter months if the diffuser is kept close to the shore. 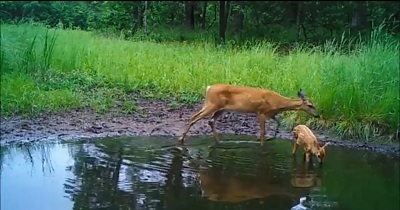 How much water do white-tail deer need to drink daily? The high temperatures during the dry times of mid to late summer are cause to consider the water needs of whitetail deer. Winter can effect water availability also, a windmill aerator will solve that problem by keeping an open area in a pond. Can they find enough water on your property to keep them in the area? It makes a difference when it comes to deer management and attracting deer. 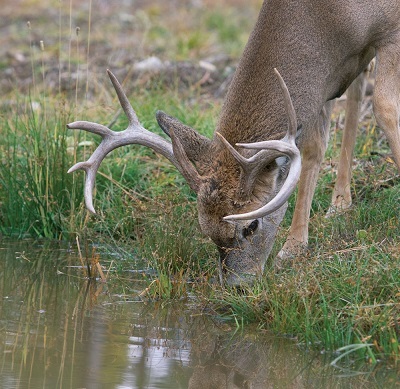 Water requirements can vary with available food sources, climatic conditions and a whitetail’s physiological state. Deer that are lactating or growing, for example, need more water than deer that are not. White tail deer will make use of various water sources such ponds, creeks, rivers, springs, dew, snow and even vernal pools. Secluded depressions that hold water for any period of time will be used heavily by deer. 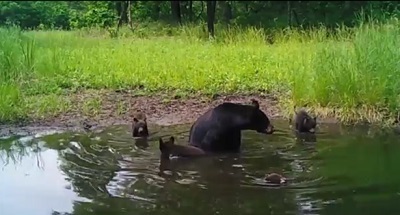 Secluded water sites allow does with fawns and weary bucks to go about their habits while decreasing their chances of being detected by predators and hunters. Next time you come across one of these water holes, notice the number of deer tracks around them. White-tail deer use water daily, they can ingest it directly or they can acquire it from their diet, as long as succulent plants are available to them. During The dry season and in areas where water-rich vegetation are scarce, it is estimated that at least one source of permanent water per square mile is needed to ensure use of the available area. Some hunters estimate a home range size of a whitetail deer can range from 400 to 800 acres, so it’s good to have at least one water source per square mile. Lack of water could cause deer to use a well planted food source less frequently when plants are starting to harden off in later dryer seasons. This entry was posted in Uncategorized on April 28, 2017 by Packerland.